Today I wanted to share with you a few quick tips on how to keep your outdoor items looking fresh and better able to withstand the harsh summer elements. Birdhouses, terracotta pots, mailboxes, pallet signs, plant markers and other “outdoor decor” items will all benefit from a watersealer. Thompson’s asked me to review a few of their products last year and sent me some samples. I didn’t get around to posting about it last summer, so I’ve had an entire year’s worth of experience with both Thompson’s Clear Multi-Surface Waterproofer and Thompson’s Fabric Seal. 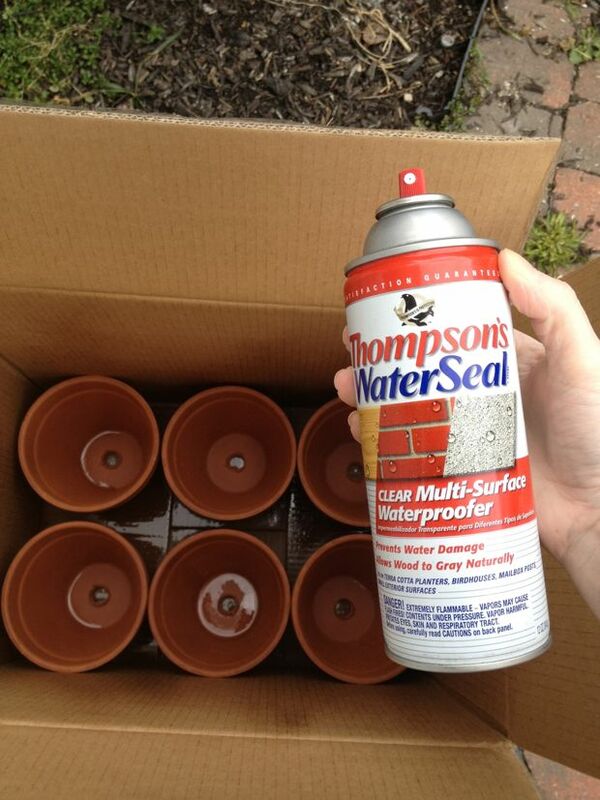 I especially like Thompson’s Clear Waterproofer to seal terra cotta pots from water damage. 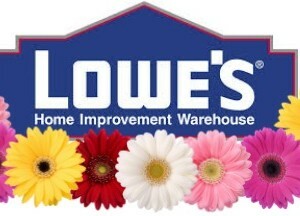 You can find is at Lowes and it runs around $4 a can. 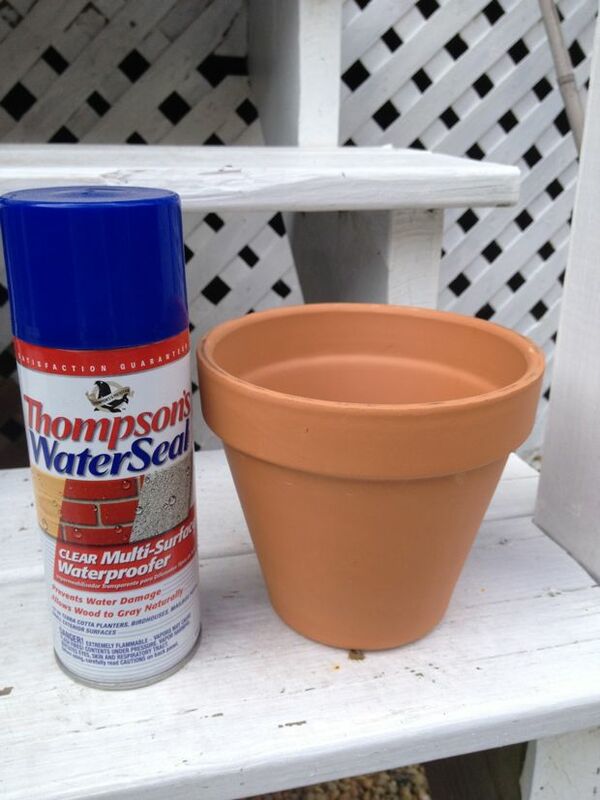 All you need to do is take a thoroughly cleaned and dry terra cotta pot and spray the interior with Thompson’s Multi-Surface Waterproofer. 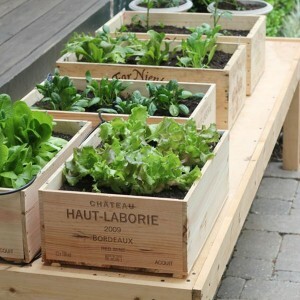 I placed all of my pots in a large cardboard box to contain the spray and sprayed the insides and the base of the pots. I allowed each coat of sealer to dry and applied a few coats. 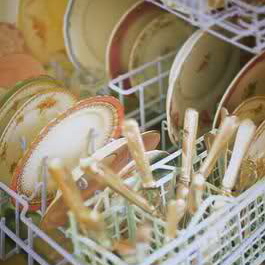 Be sure to allow the pots to thoroughly dry before filling with dirt or painting. Sealing your pots helps prevent the pots from absorbing moisture. This is especially important if you plan to paint your terra cotta pots. Bubbling and peeling paint are caused by moisture damage. 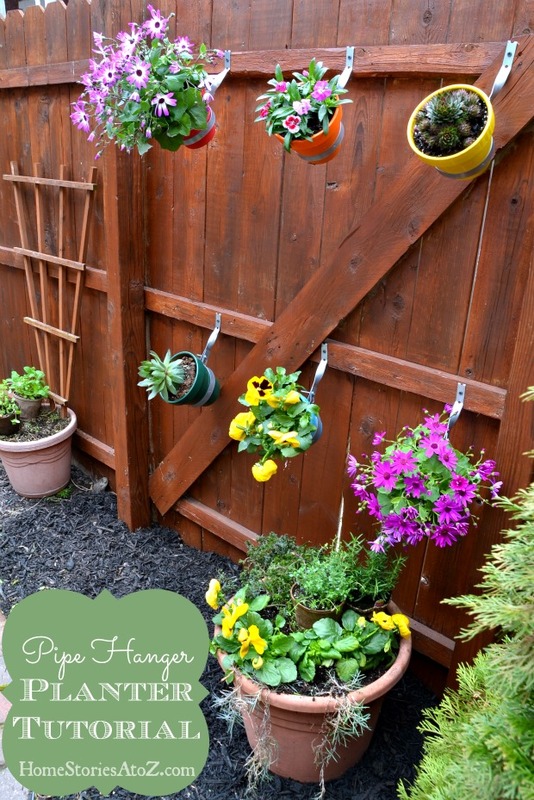 Below you can see my lovely pots from my fence planter tutorial in all of their painted glory! I also used Thompson’s Waterproofer on my outdoor summer pallet sign and it looks just as perfect a year later. Use on: cushions, pillows, umbrellas, canopies and other outdoor fabrics. I have a confession to make about this stuff though. I ignored the label and used it indoors. The can clearly states, “Do not use on suede, delicate leathers, carpeting or surfaces subject to foot traffic.” I decided to give it a go on an indoor rug that was going to be ruined otherwise. Last spring I purchased a beautiful new rug for my kitchen. I wanted an indoor/outdoor rug that I could hose off if needed but nothing spoke to me. I loved this chenille indoor rug and thought it would look perfect in my kitchen, so I bought it against my better judgement. I decided that it couldn’t hurt to protect my indoor rug with a few coats of Thompson’s FabricSeal. (Again, Thompson’s doesn’t recommend using this product on carpet so use at your own risk.) I made sure the rug was thoroughly vaccummed, cleaned, and dry before spraying a few even coats of the FabricSeal over the entire surface of the rug. So how has it held up over the year? Well, spills and stains DO soak in. The FabricSeal does not ensure water beading which concerned me at first. However spills and stains come out very easily, the rug repels dirt, and it cleans up beautifully. You can see the rug peeking out in the picture of my kitchen below. I am thrilled with how well it has held up against heavy cooking, spills from little boys (and a big one), and messes from two dogs. You can of course also use the FabricSealer for it’s intended purpose outdoors to protect your outdoor cushions and umbrellas. Even cushions that are water resistant tend to lose their water-repelling qualities with wear and tear. It’s a good idea to freshen them up each season with a Waterproofer. 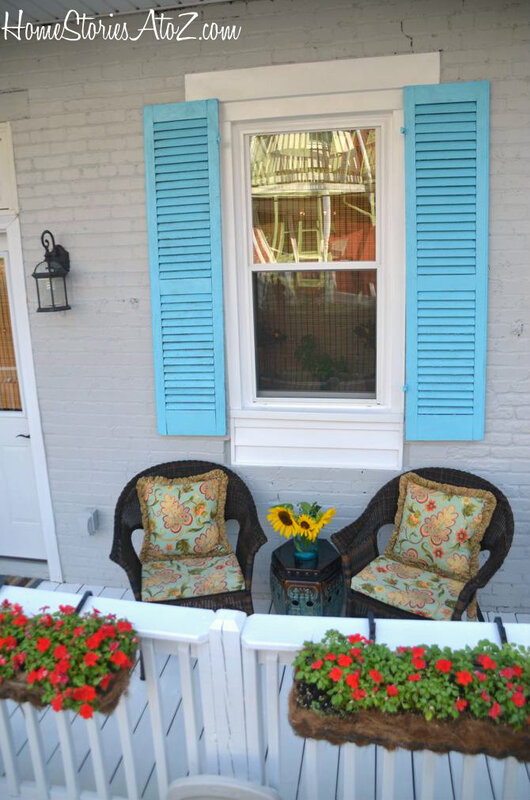 I used the FabricSealer on my outdoor cushions and pillows and am pleased with the product. I was at Lowes a few days ago and snapped the picture below with my phone because I’m considering this pergola for our roof deck. Do you see that large display of Thompson’s FabricSeal? 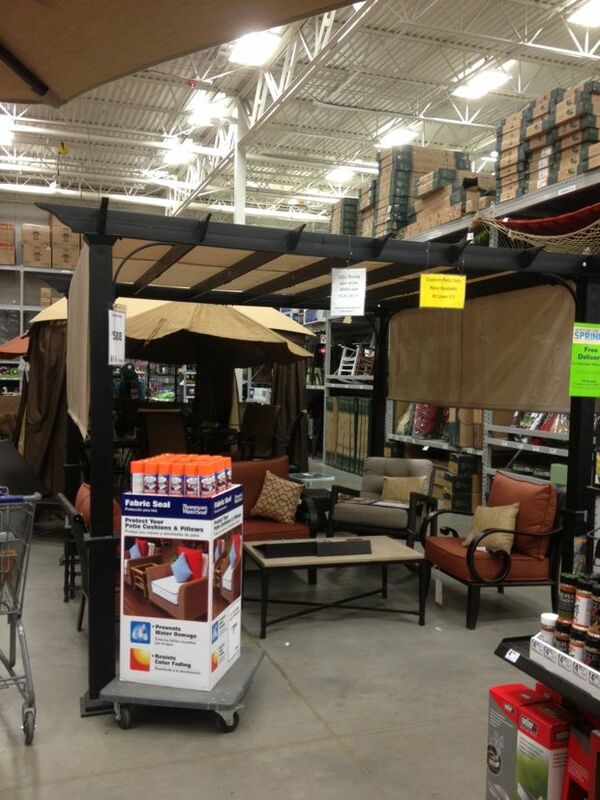 If you need some, look for it at Lowes in the outdoor furniture area :). Thompson’s provided product for my review and sponsored this post and all opinions, thoughts, words, ideas, pictures, random musings, and insights are now and will always be my own. You can find Thompson’s WaterSeal on Facebook and right now they are giving away $1000 in a fun Pinterest contest. Hop on over for the details and for your chance to enter. 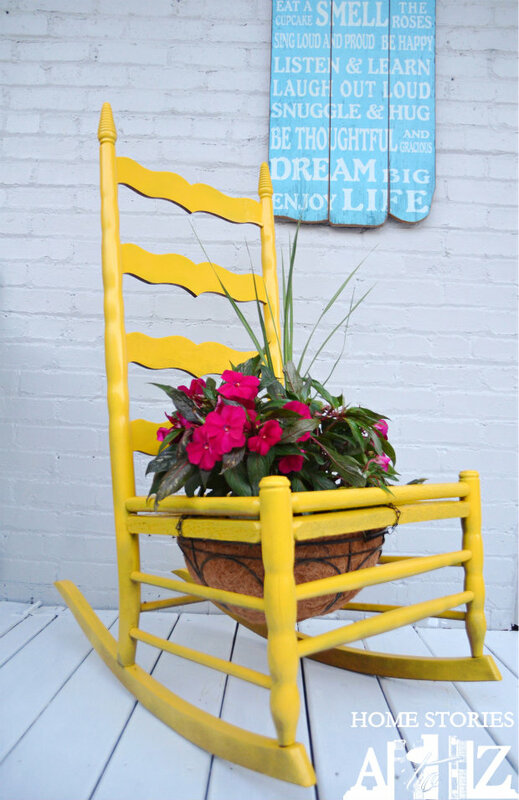 Thanks again for the great tips on how to waterproof your outdoor furniture. It is interesting to read about how you can actually waterproof fabric as well so that the rain does not ruin your expensive patio furniture. During the summer, my family and I love to spend our time outside cooking on the patio and if we can avoid water stains, that would be ideal. Thanks again! Hi! I just bought some inexpensive canvas prints that I’d like to hang on my outdoor porch. They will not get direct sun or rain but will be outside in cold to hot temps in Austin, TX. What sealer would you recommend to help them last outside? Thanks! I have some gorgeous cotton fabric I’d like to use on a covered porch for cushions. Do you think if I gav the fabric a good spray the fabric would hold up? Hi Reenie! I think it would hold up, but if it’s expensive fabric and you’d be sad if it didn’t hold up then I might look into other options. It’s always a risk, but I’ve had luck with it so far! Do you think it is possible to use polyurethane or silicone sealer on a rug with a slight nap to totally waterproof it? I have a similar problem: an indoor/outdoor rug that I bought because it was a steal; planned to use it in my bathroom, and then remembered “doh!” my dog is “accident prone” and I have a litterbox in there! I’d like to seal the nap so I can basically sweep/mop it like a floorcloth. What do you think? I wouldn’t try it on an expensive rug but go for it with a less expensive one. I’ve recently had good luck with Rust-oleum Never Wet (linked to Amazon for you) to protect fabric items I use in high traffic or outdoor situations. Thanks! The Rustoleum won’t penetrate though, will it—enough so that the nap is effectively sealed (to allow for mopping rather than vacuuming)? And any idea if it will crack underfoot if used on a carpet (unlike furniture)? Looking for something like Plasti Dip, even, to just seal it. It wasn’t terribly expensive, and is going to go to waste if I don’t do something. Hi Jessica, if mopping is the goal I wouldn’t use a rug at all in the space. 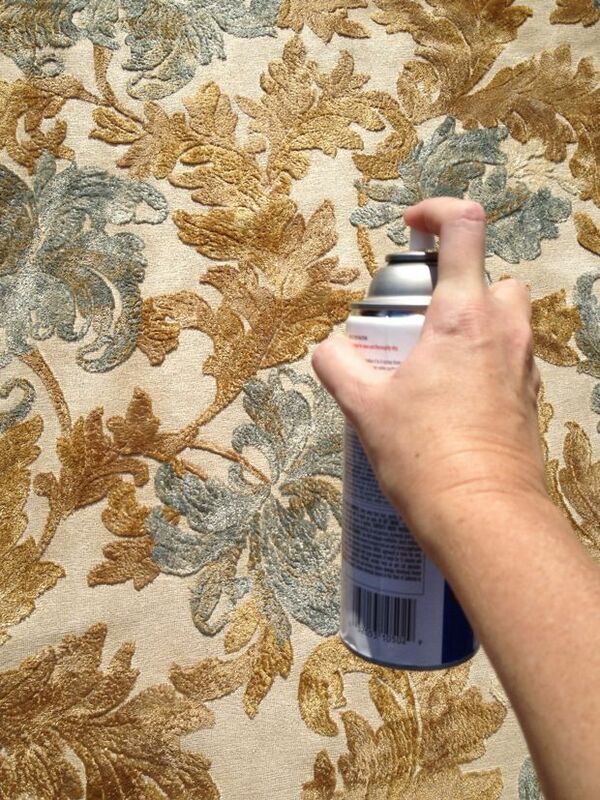 Better off getting an inexpensive indoor/outdoor rug that can be taken outside and hosed off when needed. Would this sealant preserve pumpkins from deteriorating and becoming mushy ? I am planning to preserve fully uncarved pumpkins. This past year rustoleum wasn’t enough. I don’t know of any sealant that will preserve pumpkins. I know some people have luck drying their gourds in a cool, dry location with plenty of airflow but mine always mold and turn to mush after 6 weeks or so. Can this be used on a grapevine wreath? I’ve never tried using it on a wreath before, so I’m not sure if it would leave any sort of visible film. However it hasn’t left a film on anything else I’ve sprayed it on and has worked great for me. How can I seal a painted chalk medallion? I would like to use it outdoor but it will deteriorate quickly. I want To protect it from the elements. The Rain and the sun? Hi Laurie, I’m not sure I understand what a painted chalk medallion is. 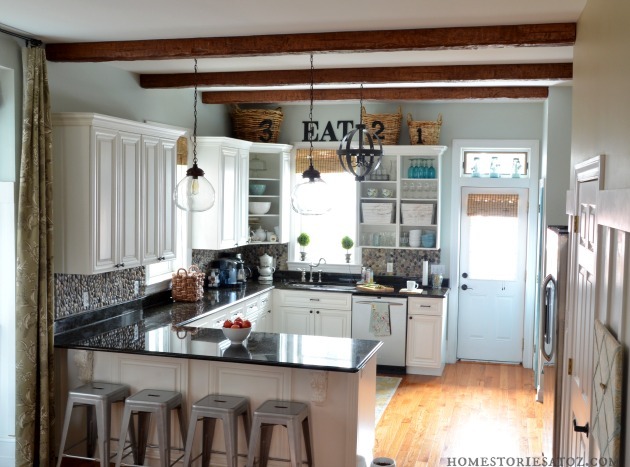 If you mean a ceiling medallion painted with chalk paint, then you could seal it with a clear spray paint or with Mod Podge Outdoor. If it’s on a covered porch, it should stand up to the elements well. If it’s exposed on a fence, it most likely will experience wear and tear even if protected with a sealer. 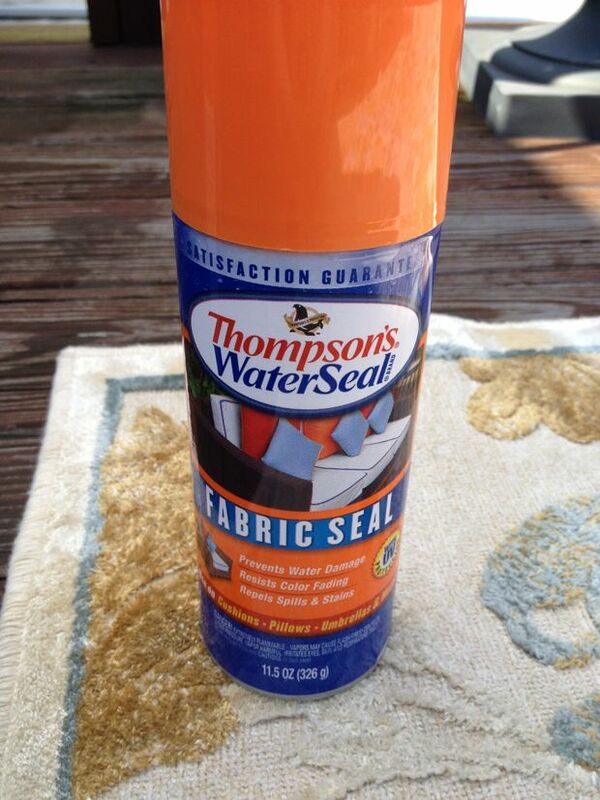 reading about your thomsan water proff spray I hope I can find it at lowes.if I can’t ?how can I buy it from you. Can you tell me what I can use to protect my screen art. I put out in my little garden. Hi Michelle, it depends on what kind of surface your screen art is on. If it’s on a canvas, I would cover it with outdoor Mod Podge. I never knew about these sprays! I wish I would have known when I first got my outdoor furniture. This is so weird! I was JUST talking to a friend about how I would like to eventually put up a pergola and get a nice outdoor couch, but worried about protecting it from rain, etc. Thanks for sharing this! !